276 people's deputies backed the motion. The Verkhovna Rada on Thursday passed a bill №6470 that defines Ukraine's accession to NATO as a pillar of the nation's foreign policy. The bill garnered the support of 276 lawmakers. The previous version of Article 11 of the Law of Ukraine "On the principles of domestic and foreign policy" set forth "the deepening of cooperation with the North Atlantic Treaty Organization in order to achieve the criteria necessary for membership in this organization." The new bill sets the goal of deepening cooperation with NATO to obtain membership rather than achieving the necessary criteria. Gaining membership in NATO is also written down in the law "On the National Security of Ukraine". "Today, for the first time in 20 years, the majority of Ukrainian population is supporting joining the Alliance. I believe that it is time that we clearly declare in the Ukrainian legislation the desire of Ukraine to join NATO. In recent years, the Ukrainian army has become one of the most combat-effective and efficient army on the European continent. 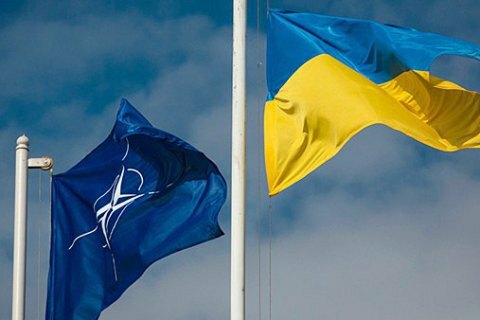 I am confident that Ukraine's entry into NATO - is equally important both for Ukraine and for the Alliance," one of the of the authors of the bill, the Speaker Andriy Parubiy told the parliament. The current Ukrainian government considers joining NATO as its strategic goal, but no active steps have been taken in this direction so far. Meanwhile, the Military Doctrine of Ukraine provides for the development of the nation's Armed Forces according to Western standards and the achievement of compatibility with the armed forces of the NATO member states.